 This examination is being given to fill full-time vacancies in the Radiology Department at San Joaquin General Hospital and to establish an eligible list to fill future vacancies. Resumes will not be accepted in lieu of an application. A completed application must be postmarked or received online by the final filing deadline. * Assists Radiologist in fluoroscopic x-ray examinations; assembles equipment; measures and mixes barium and contrast media; maintains surveillance over patients, performs radiographs as necessary for the radiographic procedure. * May operate computerized tomography scanner; assists radiologist in performing special x-ray examinations such as angiography, arthrography, myelography, and other special procedures. * May prepare and position patients for sonographic imaging examinations; calibrates and adjusts equipment according to the area of body involved; takes appropriate films of each examination. * Demonstrates all procedures to students; monitors students; performance of procedures; corrects faulty techniques and explains appropriate methods. Experience: Eighteen months performing radiographic work. CT experience is highly preferred. Substitution: Graduation from the San Joaquin General Hospital School of Radiologic Technology may be substituted for six months of the required experience. Licenses and Certificates: Registration with the American Registry of Radiologic Technologists, and certification by the Department of Health, State of California, as a Radiologic Technologist. Note: Generally, persons who are registered by the American Registry of Radiologic Technologists may obtain certification as a Radiologic Technologist in the state of California upon applications and payment of fees to the state Department of Health. Special Requirements: Possession of a State of California Certification in mammography or a State of California fluoroscopy permit may be required as a condition for assignment or continued assignment as a Radiologic Technologist II. Methods and techniques of diagnostic radiography; various anatomical positions used in radiography; and care and use of radiographic equipment; safety practices to prevent overexposure to radiation. Sit and/or stand for extended periods of time, manual dexterity sufficient to administer procedures and operate equipment; bend, stoop and lift patients; position patients for a variety of imaging examinations; understand and carry out complex oral and written instructions in exact detail; demonstrate the operation of x-ray equipment in practical work situations; perform minor interventional x-ray procedures; maintain records; establish and maintain effective relationships with medical staff, patients and patients families. Deferred Compensation: The county maintains a deferred compensation plan under Section 457 of the IRS code. You may annually contribute $17,000 or 100% of your includible compensation, whichever is less. Individuals age 50 or older may contribute to their plan, up to $22,500. Pre-Employment Drug Screening Exam: Some classifications require a new employee successfully pass a pre-employment drug screen as a condition of employment. Final appointment cannot be made unitl the eligible has passed the drug screen. The County pays for the initial drug screen.